An unbelievably delicious salad! 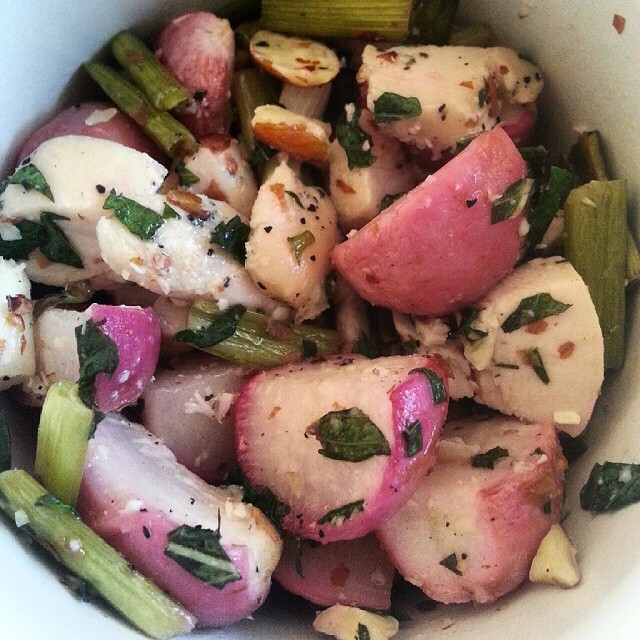 Roast 2 bunches of radishes and scallions for 10 minutes. Fold in one pound of cooked chicken, a half cup of chopped almonds, a half cup of chopped mint and 2T of lime juice. Yum! Healthy eating, holistic living, world travel and all things beautiful, spiritual, inspirational and fun. To see more great recipes, follow Getting Balanced on Instagram.